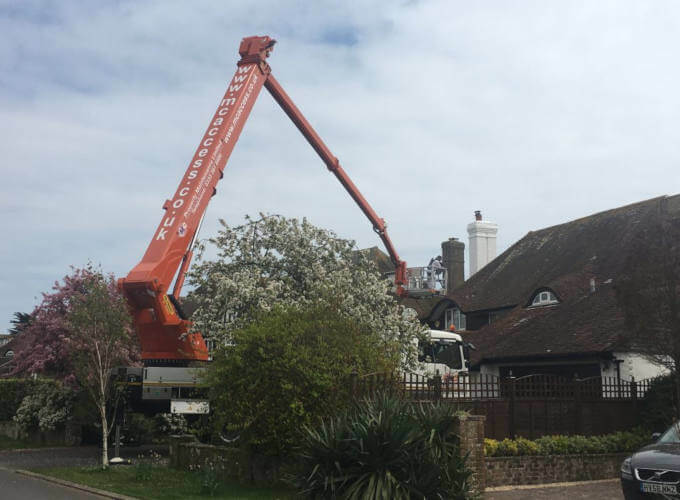 Palfinger P480, sometimes size matters in Bognor. When asked to re-decorate this chimney stack, MC Property Maintenance had to bring in the Big Guns to sort it out. The outreach for this project was just a little to much for anything smaller. 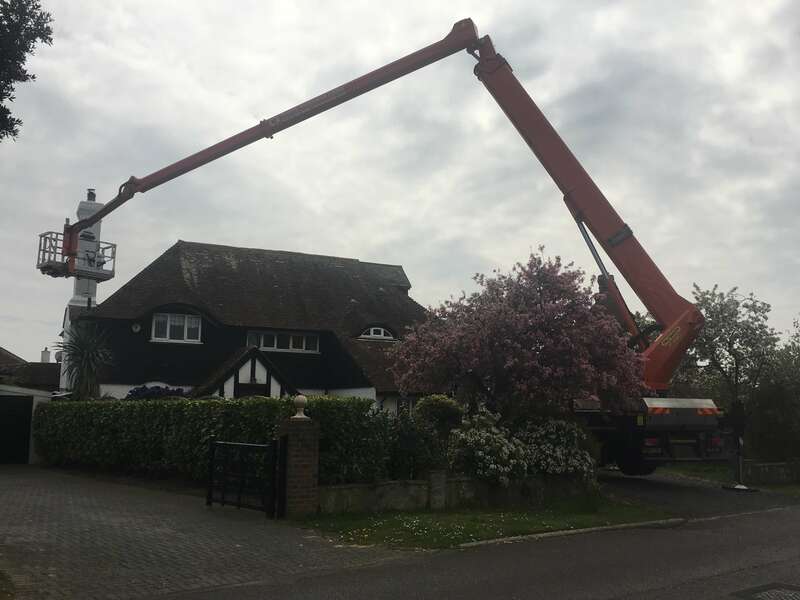 We were able to get this job done in double quick time as we could get to all sides without moving the cherry picker once.